With another outstanding FallFest in the books, it’s time to officially recognize two people who really made it happen this year. 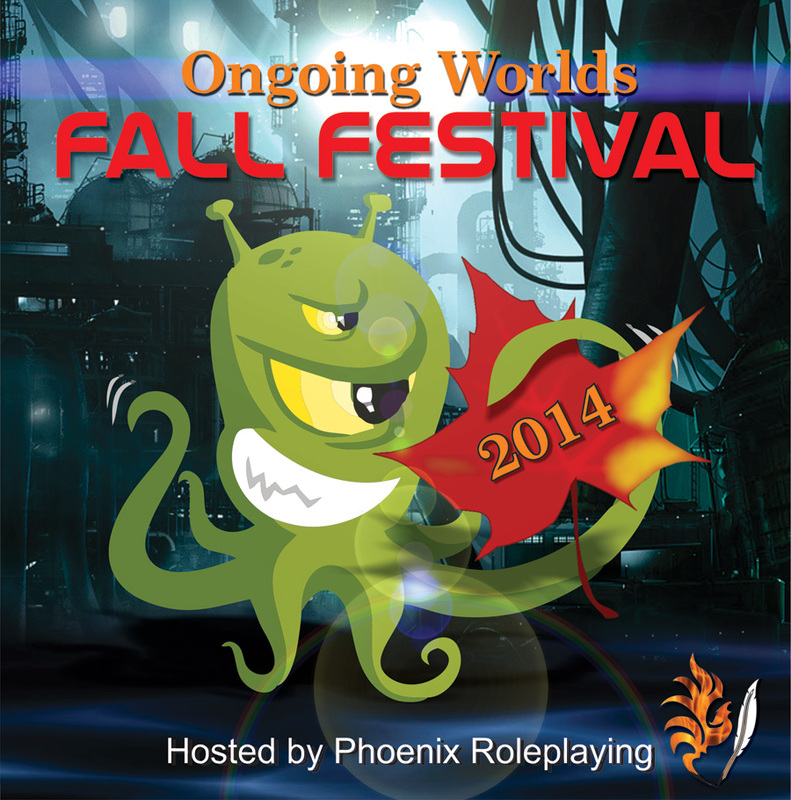 But before I do that, I want to thank Phoenix Roleplaying and everyone else who had a role, no matter how small, in helping make FallFest ’14 another great success. Event hosts, promoters, participants, and the like. Without you guys and gals, we at Ongoing Worlds wouldn’t be able to do what we do. YOU make these events possible. So again, thank you! It gives me great pleasure to present the Ongoing Worlds Community Honor to Misty Taylor of Phoenix Roleplaying for service as chair of the 2014 Simming Fall Festival. Not only was this year’s FallFest a huge success, but Misty was able to put it all together in only a few short weeks. Indeed, planning for FallFest has normally taken months, not weeks, in the past. She produced a great line-up of events, ran the point all day, and ensured that the festival had great energy from start to finish. On behalf of role players everywhere, thank you, Misty. 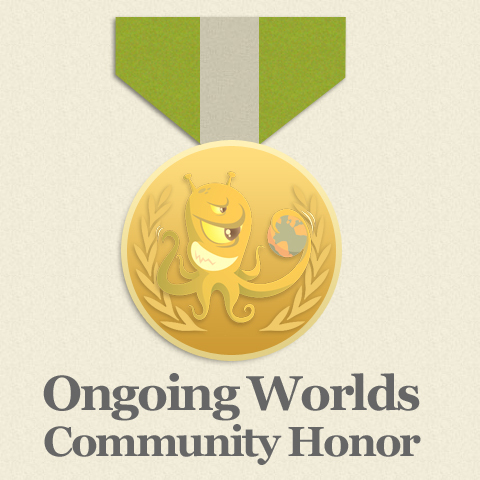 I’m also extremely pleased to present the Ongoing Worlds Community Honor to Cheridan (aka Threnody) of Ongoing Worlds for creating chat rooms and providing top-notch IT support for the 2014 Simming Fall Festival. The chat rooms established and maintained by Cheridan were head and shoulders above anything used at previous FallFests. The look was clean, the functionality was impressive, and there were no errors! She’s set the bar high for future festivals, or maybe she’s inadvertently volunteered herself indefinitely. Thanks again, Cheri. And that’s a wrap. FallFest ’14 now belongs to the ages. See you next year.